If you’re anything like the ActionVFX team, you love a good end-of-the-world flick! The vast landscapes, the destruction and grit, the moody characters - we can’t get enough. But how can you make a unique world believable when you’ve got a low budget and a small crew? Filmmaker Preston Yarger, a fellow apocalypse junkie, wasn’t dissuaded by these problems. Determined to make something bigger than the average film student, he started putting together his vision of ARCH, his thesis project, two years before shooting. 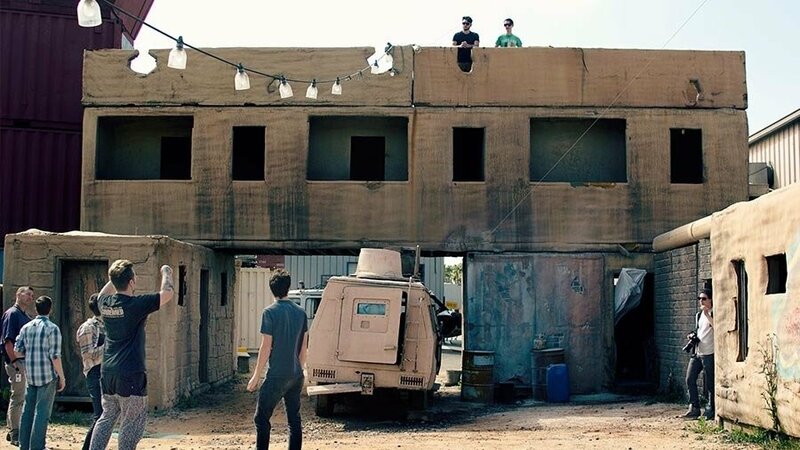 We interviewed Preston to learn more about his vision for this project and how ActionVFX elements helped him bring his perfect dystopia into reality. Tell us a bit about you. How did you fall into filmmaking? Preston: As a child I was obsessed with dinosaurs and archeology. I always dreamed of one day being Indiana Jones, able to travel the world to find lost artifacts and to learn their history. One day, my dad decided it was time for me to watch Jurassic Park. As I sat back and experienced John Hammond’s terror of an island unfold on screen, I decided I still wanted to hunt the world for stories, but to also make movies about them. My parents then gave me an old film camera they had in our attic, and I set to work making everything from Star Wars to WWII films. After a while, I started producing regular online content, and with this came the launch of my own production company, “Half Dead Horse Pictures”, or “HDH Pictures” for short. Preston: I’m now living in downtown Los Angeles after just finishing ARCH, kickstarting my post-college life as an industry and indie filmmaker. What other projects are you or have you worked on? Preston: I have worked on a number of projects within the industry, multiple feature films and tv shows, I even spent a little while acting on a number of projects. I’d have to say the majority of my experience comes from producing my own large scale short films. My philosophy is that in order to be the best Director, I need to have knowledge and experience in all aspects of filmmaking. So not only am I a Director but I am also a Writer, a Cinematographer, an Editor, and a VFX Artist. Growing up filming things myself, I had to learn how to manage a film from beginning to end, so editing and VFX work came natural to me. How is the atmosphere of the set and working with your crew? Preston: My team is amazing, and hands-down the best crew I have ever worked with. They are so dedicated to the craft of filmmaking and the desire to tell stories. Every single time we do a project my team attaches to the story at it’s core and this passion for the tale we want to tell drives the set and every individual member to do their very best. Preston: ARCH is a story I first drafted back in 2014. I knew I wanted to make an epic scale thesis project so I set out to do so two years before production even began. I felt the ambition and the drive to make something on the scale that has never been seen coming out of any university before. I wanted to make an epic. I love working within the genre of post-apocalyptia/distopia because I feel it is one of the best avenues with which we can talk about humanity. Within this genre we see man without government or with corrupt government, which often shows us humanity at it’s most tribal state. We started pre-production in December of 2016, shot for 7 days in the middle of June 2017, and were in post-production until September 2017. The film was made from a budget of $16,000, and a team of over 50 people, including cast and crew. I wanted to create a film centered around a strong young female protagonist, inspired as a mix of my three sisters. 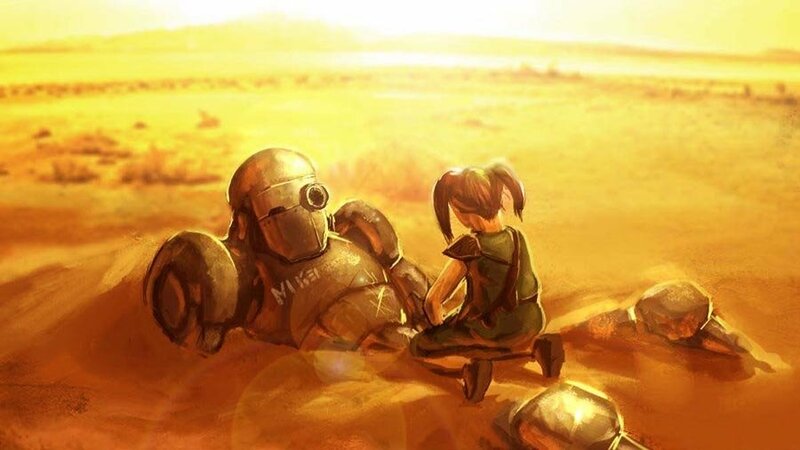 Alongside her I wanted to place a terrifying but loving, gruesome warrior of the wastes, whose character and appearance challenged her own but ultimately made for the perfect team. Did you come across any complications during the production process? Preston: Originally the character of Mike was supposed to be a giant, practical, robot. On the first day of shooting, everything went to hell. The costume failed catastrophically. So, we threw together the new character of Mike from the costumes we had. So instead of being a larger than life robot, the character became a silent and faceless desert warrior. In the end, this worked out for us, because the character of Mike does not depend on whether or not he is a robot, but on his relationship with the lead girl, Lilly. How did you find out about ActionVFX? Preston: I found out about ActionVFX through my friend and close collaborator Nicolas Alayo, who admittedly is vastly better at VFX than I. As I’m sure a number of people also felt, I was tired of using the same old VFX elements. Action Essentials had long outstayed it’s welcome, and as film quality was getting better and better (jumping into 4K and now 8K, which we shot ARCH in), it was time to graduate to some 4K big boy toys. 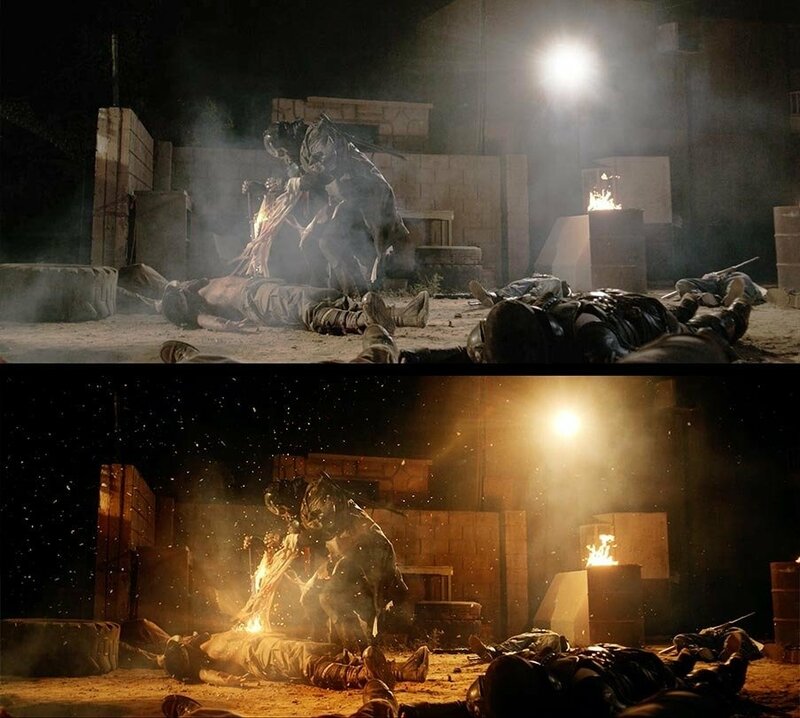 ActionVFX delivered exactly that, high quality, high frame rate, VFX elements. And I couldn’t wait to get my hands on those elements for this project. What ActionVFX products did you use on ARCH? Preston: My most heavily used elements were the muzzle flares, smoke, and every kind of ember effect you could possibly think of. I would have used the fire elements but we actually used mostly practical fire. How were ActionVFX elements different from other assets you’ve used in your VFX work? Preston: The ActionVFX elements were perfect for what I needed. Being that I was working with 8K Red Raw footage, I needed really high quality elements. I also worked with a lot of 4K 120fps footage, and the high frame rates of the ActionVFX elements really came to my aid there as well. The fact that most of these assets were already alpha matted helped speed up my workflow. For some of the easier things, like fire embers, I was able to drop them in and track them to the shot, and with minor color or speed adjustments, they were nearly ready to go. These assets really made my workflow much simpler and the film that much better. What was your thought process during the compositing of the film? Preston: Honestly, the VFX sequences for the film came out far better than I imagined. And most of that is thanks to ActionVFX. The quality and usability of their effects made my life as the main VFX artist immensely easier. I still want to go back and work on some shots to make them just a little bit better, but overall I am very pleased with how the VFX heavy shots turned out. 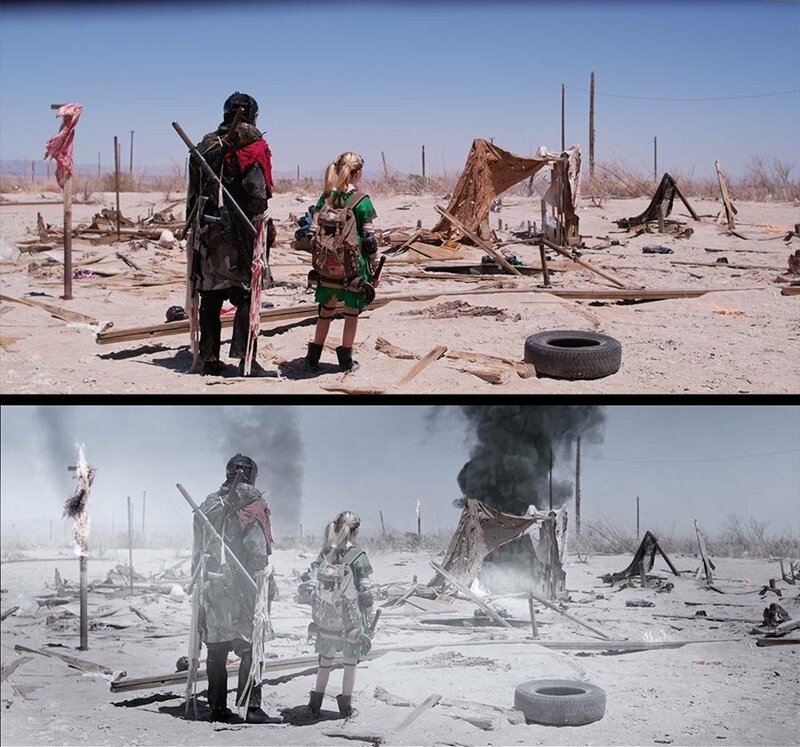 The elements from ActionVFX and a good color grade can really take your footage to that next cinematic level. What are some things that help you stay creative and innovative? Preston: In order for me to stay innovative and creative I do my best to be working on multiple projects at a time. I try to always have something I can switch over to in case I get burnt out on one project and I always try to take on a new challenge with the next one. If I’m not challenging myself then I don’t think there’s much of a point to me doing a certain project. I have this constant desire to grow as a filmmaker and in order to do that I have to push myself and challenge myself in new ways with every project. We're grateful for the time Preston took to give us insight on how his project came together and how he used our elements for the finishing touches. You can check out the full film on his Youtube channel here, and see our VFX in action!